Schemata Workshop was selected by the University of Washington to provide design and planning services for a campus-wide bicycle shelter project. Schemata, Alta Planning, and Swift & Company worked with UW Transportation Services to engage current bicycle users, building coordinators, UW Facilities and Police Department to determine what currently works with the existing bike facilities and the desired improvements that these stakeholders would like to see. 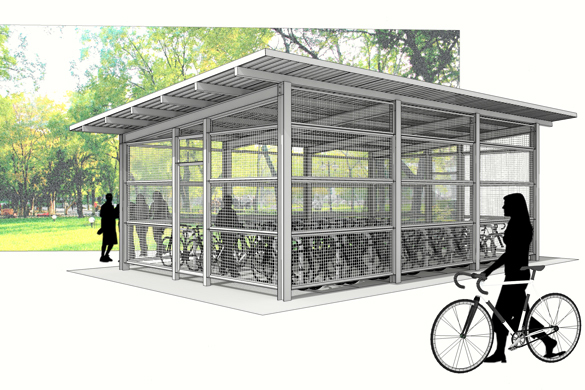 Schemata is designing a shelter and enclosure system based on a new bike rack system that will be part of a kit-of-parts and deployed over the next few years across the UW Campus.